Bicycling has grown in popularity across North Carolina, both as a recreational sport and a regular mode of transportation. Many areas offer bike lanes and bike-friendly facilities to accommodate those traveling by two pedals. However, bicyclists are particularly vulnerable road users. It’s all of our responsibility to watch for each other. Wearing a properly fitted bicycle helmet can reduce the risk of head injury by as much as 85% and the risk of brain injury by as much as 88% (NCDOT). 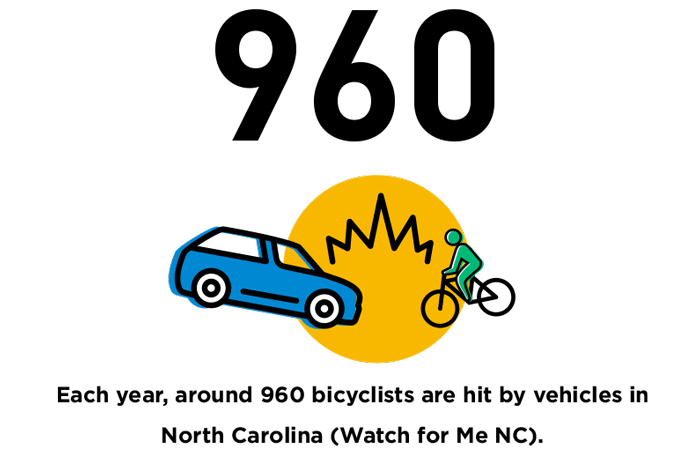 Between 2008 and 2012, 70% of bicycle collisions in North Carolina occurred in urban areas (NCDOT). 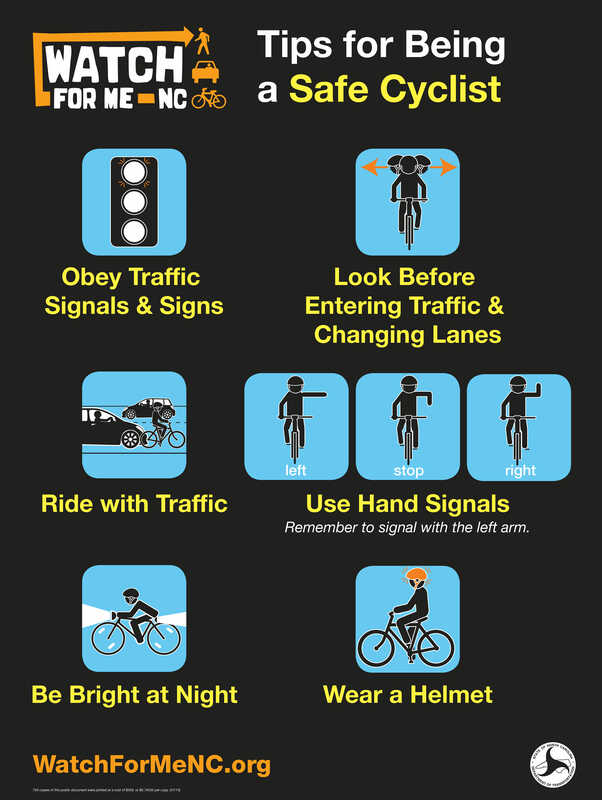 Male bicyclists accounted for 85% of crashes involving bicyclists from 2008-2012 in NC (NCDOT). Bicyclists riding at night must have an active, white front light (visible from at least 300 ft) and a rear red light (visible from 300 ft) or reflective clothing. Bicyclists must ride on the right side of the road, in the same direction as other traffic. Every person under 16 years old must wear an approved bicycle helmet when operating a bicycle on any public road, public bicycle path, or other public right-of-way. Don’t see your group? Email us at ncvisionzero@ncsu.edu to be added!